Residents move a barricade out of the rising floodwater from the Saint John River in Lakeville Corner, New Brunswick, on Wednesday, May 2, 2018. Highway 105 is underwater as the flood waters of the Saint John River flow through at Jemseg, New Brunswick, on Thursday, May 3, 2018. A federal fisheries patrol boat cruises the waters of the Saint John River in Grand Lake, New Brunswick, Thursday, May 3, 2018. 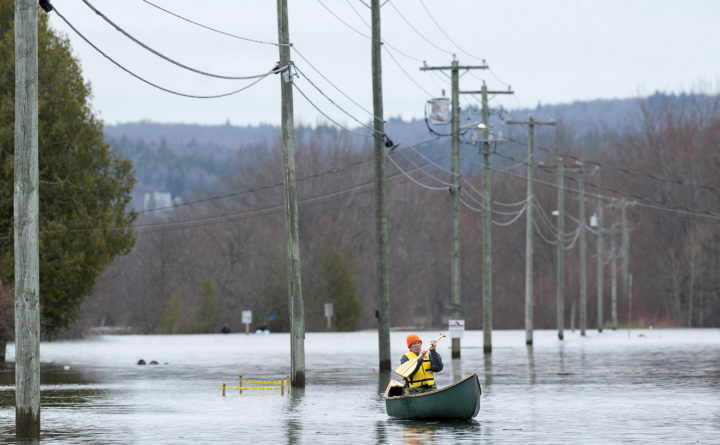 A resident paddles his canoe at Darlings Island, New Brunswick on Thursday, May 3, 2018 as the Kennebecasis River flooded the only road into the community. A man carries a bag of clothing before leaving his home as floodwaters from the Saint John River continue rising in Grand Lake, New Brunswick on Wednesday, May 2, 2018. A steel bridge is engulfed by the rising floodwater of the Saint John River in Lakeville Corner, New Brunswick, on Wednesday, May 2, 2018. 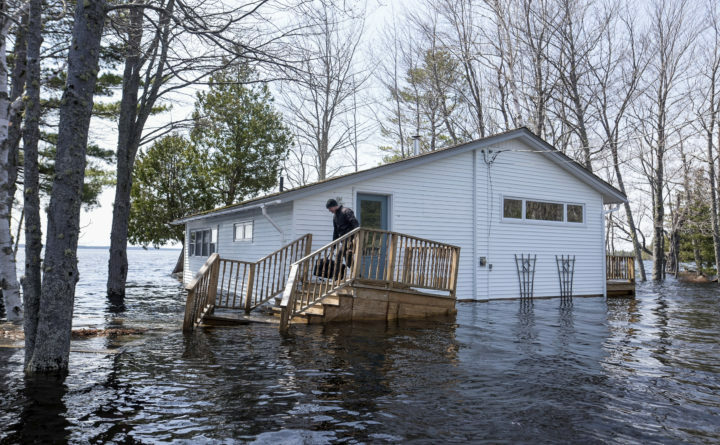 Flood waters that have plagued the Canadian province of New Brunswick over the past two weeks may have finally hit their peak, but residents still have a long road to recover. 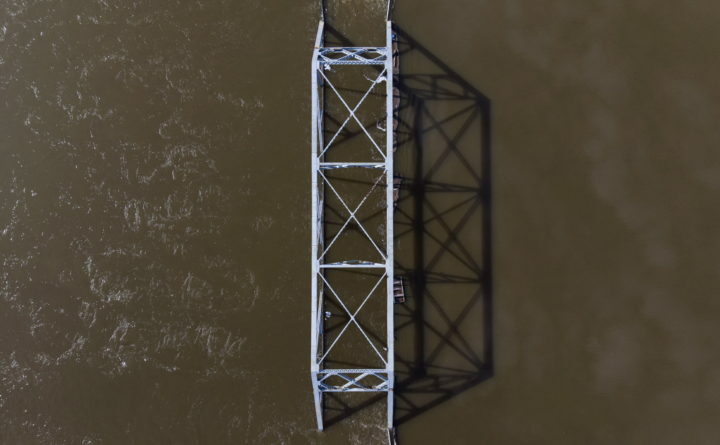 As of Wednesday, water levels in the Grand Lake area — which includes the towns hit hardest by the floods — hovered around 21 feet, nearly 5 feet above flood stage, according to the CBC. 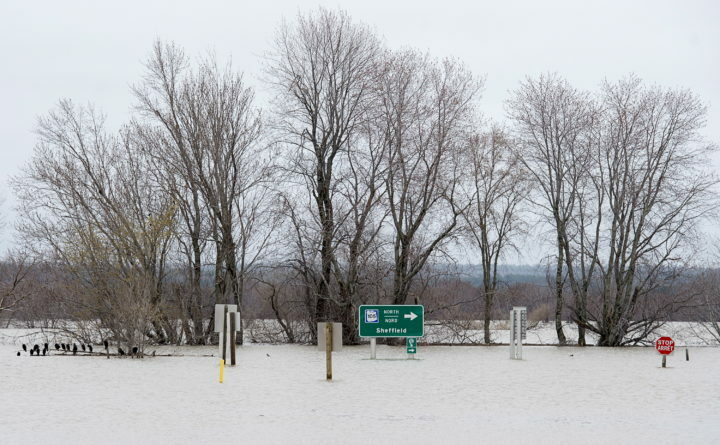 Water levels in Maugerville were at 22 feet as of Wednesday morning, while Saint John is experiencing water levels at nearly 18 feet. 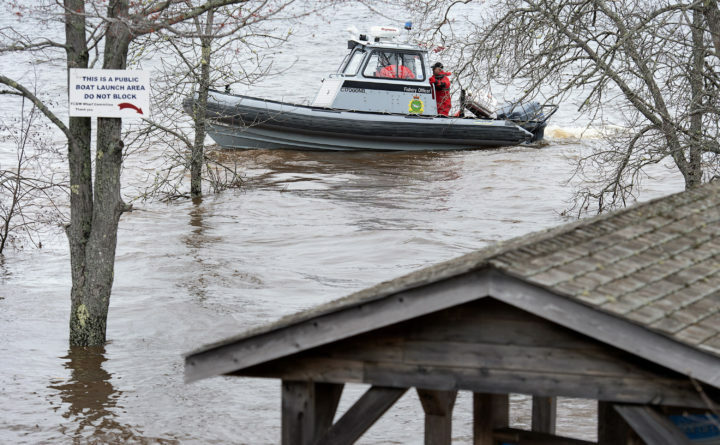 The flood was largely caused by a swollen Saint John River, due in part to sudden temperature changes as the region experienced frigid April snowstorms followed by early May temperatures as high as 69 degrees Fahrenheit, the Canadian Press reported. 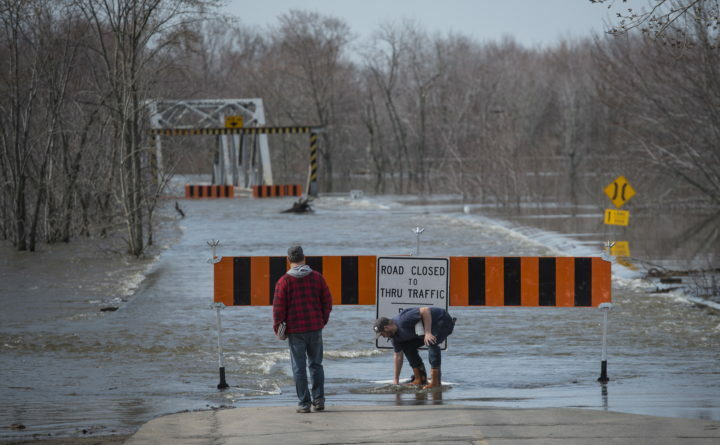 More than 150 roads and bridges were closed or damaged by the flooding, according to the CBC. Around 85 roads are closed or partially closed, including a portion of the Trans-Canada Highway between Moncton and Fredericton, which closed last Thursday. According to the CBC, 1,417 people in the region have registered with the Red Cross. Of that group, 230 are staying in shelters at the University of New Brunswick’s Fredericton and Saint John campuses. The flood waters may begin to recede, but many still will not be able to return to their homes. Saint John Mayor Don Darling urged residents to stay away from the water, which has likely been contaminated with sewage. “Don’t touch the water. Why because it’s gross and you’ll get sick. Hope that’s clear enough. Thank you,” Darling tweeted.